Geology team at Z87. Image courtesy of Troilus Gold. 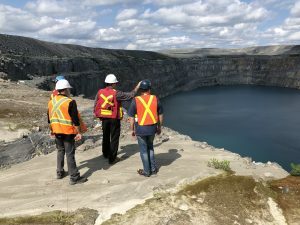 Now junior explorer Troilus Gold is trying to bring that zone and others on its property back into production and has completed 36,000 metres of drilling this year. Story courtesy of The Northern Miner. www.northernminer.com.